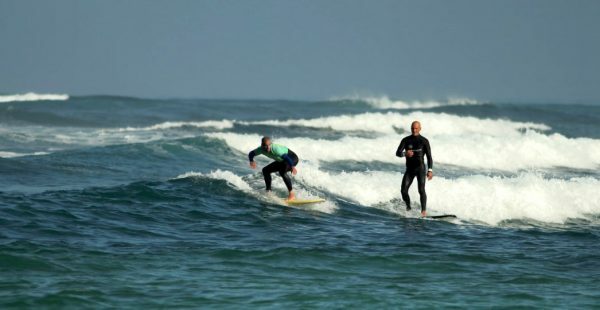 Our Surf courses take place every day and all year round, from January to December. No matter if it is your first time on a Surfboard or if you already are an experienced Surfer. With our licensed Surf Instructors, you will learn how to surf and improve your surfs kills as fast as it gets. 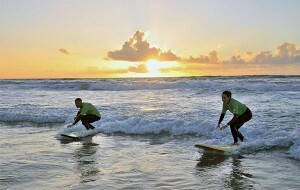 Our Surf courses take place daily and parallel to each other. You can start any day! We teach all levels, from absolute beginners trough to intermediate surfers as well as professional private coaching for individuals who want to improve faster. We will find the perfect Surfcourse for you! We never want you to feel surfing with us as a burden. Therefore, you don’t feel well or you spontaneously have other plans? No big deal! With our flexible schedule you can take a break or extend your surf course as you desire! Our Surf instructors offer professional Coaching in groups of max. 6-7 students, what makes an individual coaching possible. They support you intensively on your way in and through the waves. A surf session takes 3 to 4 hours. 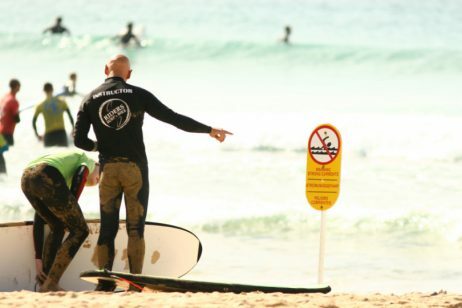 Our certified Surf instructors are also qualified lifeguards and care for the best security in the water. During the Surf course we provide you with all the equipment you need to surf: Surfboard, Wetsuit, Leash, Lycra-Shirt and a tasty snack for in between. if you surf already, you might be interested in surfcoaching. 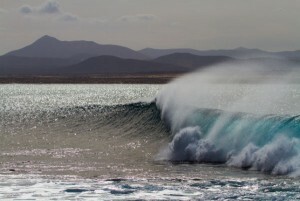 For experience Surfers we offer personal coaching. This means we go into the water just with you and work specific on your surf style. This style of schooling is more effective and intense. You can participate with your own board or try out of our boards. Equipment is always in the price included. Your Surfcoach will meet you either directly at the Surfspot, or if you wish will pick you up and drives to the best spots with you. The Coaching normally is one by one. You can also book a personal coach for two people if you like. Life is too short to wait – go for it! And get better and better and better.